Minneapolis, Minn., July 7, 2016 – SICK (www.sickusa.com), one of the world’s leading manufacturers of sensors, safety systems, machine vision, encoders and automatic identification solutions for factory, logistics, and process automation, today announced the launch of the IMF inductive proximity sensor for reliable detection that complies with the demands of the food industry. 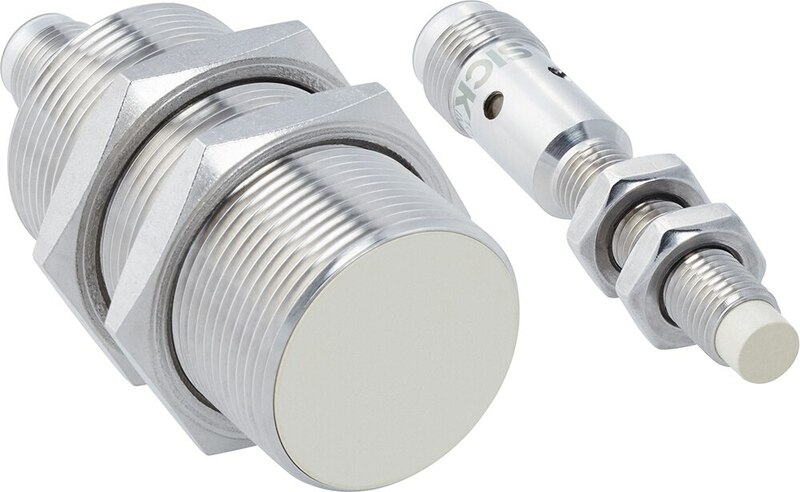 The IMF inductive proximity sensor’s V4A stainless steel housing and LCP plastic sensing face are FDA-approved, and the sensor is certified by Ecolab. The IMF is resistant to industrial cleaning agents and extremely watertight, with enclosure ratings of IP 68 and IP 69K. These features allow a longer service life even when subjected to frequent cleaning cycles, which reduces machine downtime. With an extended sensing range from 2 mm to 20 mm and high precision due to SICK’s proprietary Application Specific Integrated Circuit (ASIC) technology, the IMF inductive proximity sensor ensures reliable and stable processes. In addition, wide specification limits allow the sensor to be used in all areas of food production. Optional communication via IO-Link creates flexibility and adds more functions for automation applications. For more information, see IMF inductive proximity sensor. SICK is one of the world’s leading manufacturers of sensors, safety systems, machine vision, encoders and automatic identification products for industrial applications. With more than 1000 patents, SICK continues to lead the industry in new product innovations. The diversity of its product line allows SICK to offer solutions at every phase of production in the logistics, automotive, packaging, electronics, food and beverage, and material handling markets. SICK AG was founded in 1946 and has operations or representation in 65 countries worldwide. Your request is being processed and may take a few seconds.